This article is 3188 days old. 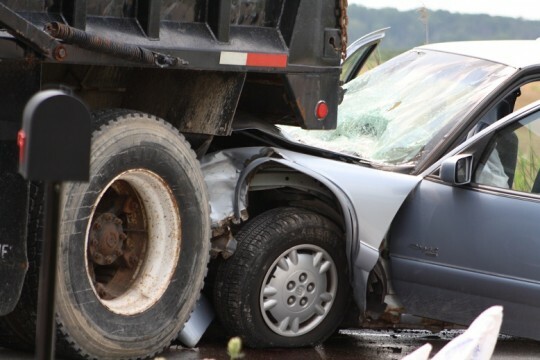 An 82-year-old Amherstburg man perished after crashing his Buick Regal into the back of a dump truck. Photos by Aric Aczel. Traffic Sergeant Rick Gorchinsky fields reporters questions at the scene of the crash. 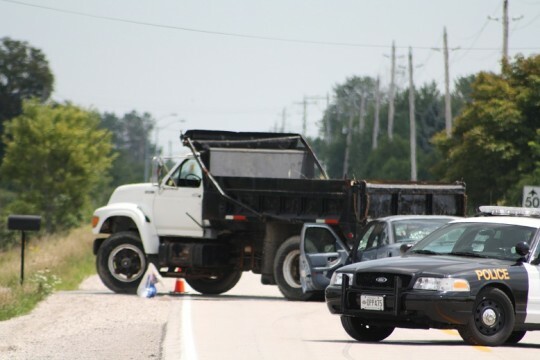 Friday, July 30th – Tecumseh, Ontario – An 82-year-old Amherstburg man crashed his Buick Regal sedan into the back of a dump truck on County Road 8 just west off Walker Road around 10am Friday Morning. There were 2 other elderly male occupants in the Buick, who were both taken to Hotel Dieu Hospital with non-life threatening injuries. According to O.P.P. Traffic Sergeant Rick Gorchinsky, the dump truck was traveling eastbound on County Road 8 when it slowed down to turn left into a business. 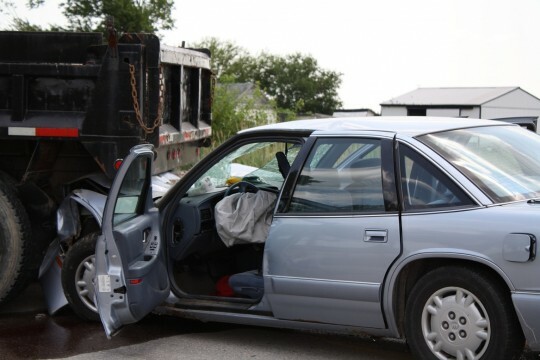 The man driving the Buick then attempted to pass the dump truck but slammed into the back of it, said Gorchinsky. Emergency crews arrived on scene in minutes and attempted to revive the 82-year-old man by means of CPR. They were unsuccessful. Firefighters on scene had to use the jaws of life to extricate the trapped occupants in the Buick. 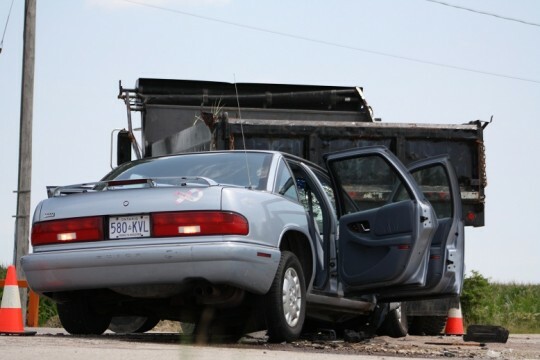 Witnesses to collision initially tried to use a crowbar to extricate the occupants before Tecumseh Fire & Rescue arrived, but were unsuccessful. The speed limit on this particular section of County Road 8 is 80km/h. 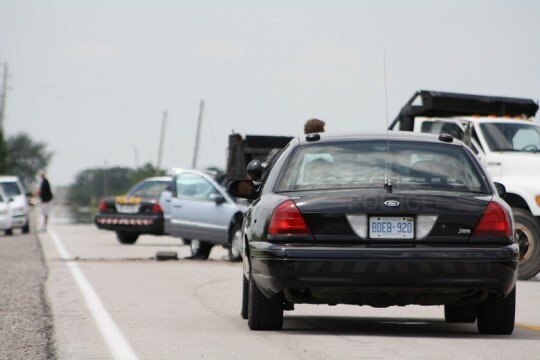 Police kept County Road 8 closed down in the area until about 5pm while they conducted their investigation. 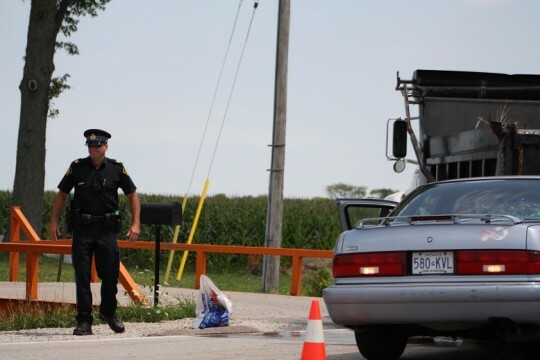 The deceased has been identified by police as Joseph Bastien of Amherstburg.